Reading the report from Institute of Welsh Affairs Media Policy Group makes me wonder about how the next decade of broadcasting should deal with the nations, regions and languages of the United Kingdom. I looked at some of these issues before - If Scotland votes Yes, what would happen to Free TV in the rest of the UK? 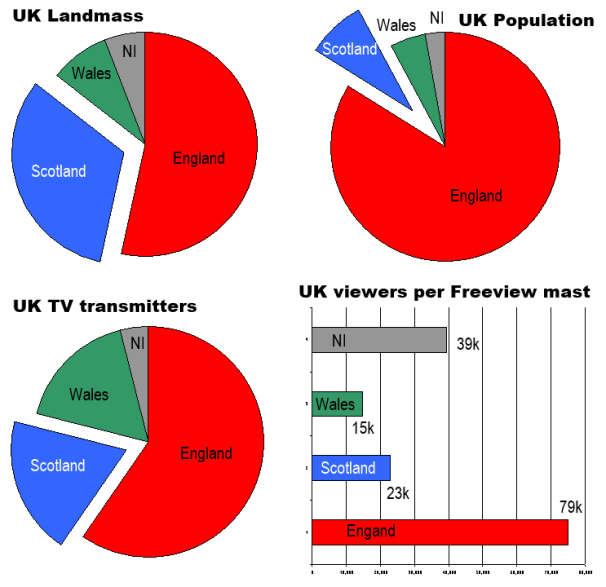 and What could happen to Freeview if Scotland voted to become independent? Reading the Institute of Welsh Affairs [pdf] report brings up some thoughts about how broadcast TV and radio might need to adapt over the coming years. It's like they haven't noticed that the BBC is having the budget cut by £613m a year! These are not simple matters, of course. The comparison between BBC Alba and S4C is stark. BBC Alba (Freeview 8 in Scotland) costs just £9m a year to run, whilst S4C (Freeview 4 in Wales) swallows up £107m a year. The former supports the 57,375 people who speak Scottish Gaelic. 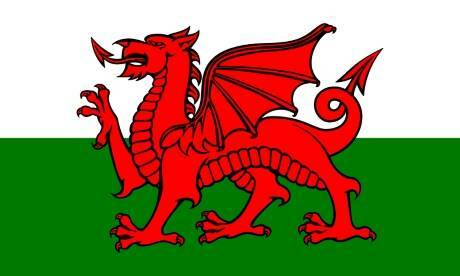 The Welsh language is used by 562,000 people. Just worth remembering that S4C gets around 0.06% of viewing, once peaking at 0.11%. Poor old BBC three is being sent online only with 1.32% of viewing (current average) and it's only on air from 7pm. That's 22 TIMES more (2200%). People of the Valley is the single most expensive programme per viewer (over £2 each per hour, EastEnders is about 3p) on British Television bar none. S4C perhaps needs to be moved online only channel with a £9m budget? There clearly is a need for Welsh viewers to have a separate news programme in English because of the nature of having a devolved assembly . The question is should the BBC and ITV news services continue to provide a UK-wide news service followed by news for nations (and English regions) or have special top-of-the-hour news services from Cardiff and Glasgow that filter out all the "English only stuff" and provide the news viewer with less need to filter? The problem with claiming for Welsh Exceptionalism (or Scottish, or Northern Irish) is that that Scotland, Wales and Northern Ireland are physically large, but have populations less than "God's Own County" Yorkshire, itself only 10% of the people living in England. Yorkshire, more populus than Wales and Scotland. Is it fair to demand new or special services for your area of the UK whilst not campaigning for all areas? Is Cardiff and Edinburgh worth more than Leeds or Sheffield? So, yes, it would be great for BBC Two Wales to be provided in High Definition, but it is hard to see how that can be done without providing the service for Scotland and Northern Ireland too, all which will cost money when the BBC income is being cut by 20%. And BBC One Wales HD has regional news, something the 53 million people of England don't have. For ITV Wales, the issue is one for Ofcom and not the BBC Charter renewal, but it is hard to see how ITV will do more unless they have a commercial imperative. As the Channel 3 licences were just "waved though" with no public auction back in May 2012, there is no public scrutiny of the residual public service components of ITV plc. BBC Spending "outside the M25"
And the other is the technical spend, of which both Scotland and Wales do exceptionally well out of due to the sparse populations and rugged terrain. Just worth pointing out that the national BBC radio stations do not have the ability to provide opt-outs. 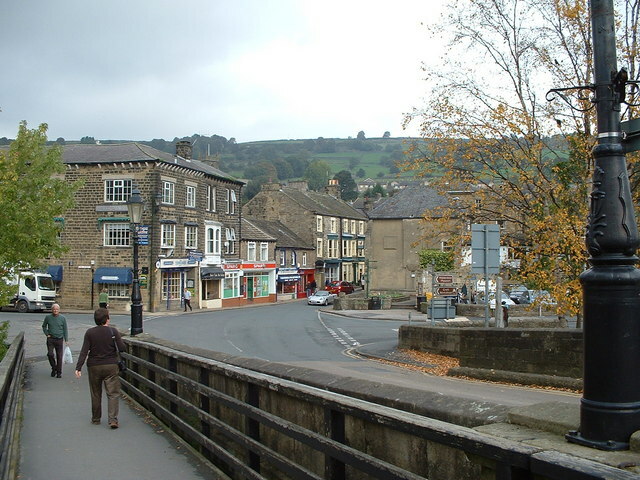 The DAB services are provided on UK-wide single frequency networks. To provide a Welsh version of Radio 1 and Radio 2 would require allocation of extra spectrum from Ofcom as well as dealing with all the usual overlap issues around Bristol/Cardiff and Liverpool/Chester for FM/RDS. 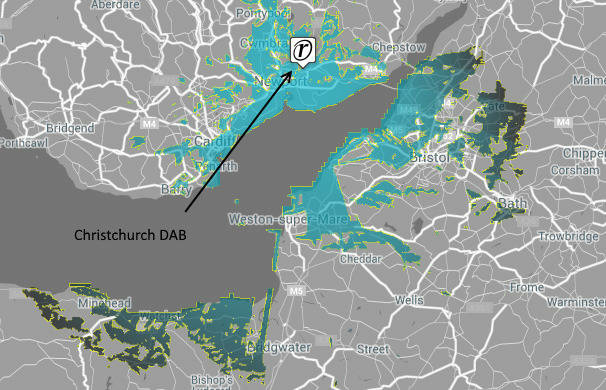 Typical DAB transmitter covering both England and Wales for BBC National DAB multiplex. The same applies the other national DAB services, again "Welsh version" of these stations can't be created without frequency allocations and engineering. I live in the south Wales valleys and cannot get Freeview at all, and use Freesat & Internet. Getting a HD signal is a even bigger problem. Yes I DO watch S4C [Via Freesat], And listen to R Cymru [on line] We need a local service, but getting the Signal to many parts of Wales is The problem. Steve J: It's only 9% with Freeview Light. It's just not economical for the commercial multiplex operators to extend their Freeview services to all the transmitters. They (Arqiva plc and ITV plc) long-since relinquished the ability to be allocated frequencies for them as the costs of adding in 1000 extra transmitters can't be economically justified. See Will there ever be more services on the Freeview Light transmitters? The problem is not just digital radio that crosses the border, but also FM and TV. For example, most residents in Ilfracombe, Devon receive their Freeview from the Wenvoe transmitter (with Welsh versions of BBC1, 2, ITV) as it carries all commercial multiplexes and the local relays are just 3 PSB multiplexes. However almost anyone in South Wales, Mid Wales or North Wales who can receive an English TV transmitter will do so to avoid the Welsh variations. Wenvoe also used to carry the Welsh opt-outs for Radio 1, despite being the only receivable transmitter for much of the West of England, including almost all of Somerset. The only real solution to this is to have both English and Welsh TV and radio from various masts on both sides of the border, but obviously this would be incredibly costly and it's questionable whether there is sufficient bandwidth. The long term answer has to be increasing availability of ultra HD video streaming that requires more bandwidth than currently available to avoid local downloading contention. I live in the Rhondda and have tested tethered mobile phone streaming to my wireless TV and download speeds were over 18Mbs. This compares to 22Mbs from my landline that is connected by 200 metres of copper wire straddling pine poles across the valley to a fibre enabled landline street cabinet. Local mobile phone mast structures could be switched over from the expensive TV transmitters to increase bandwidth (like the digital switch over from analogue TV). This when added to landline fibre will provide enough coverage. I rarely use Freesat to watch HD TV as my TV is wireless and links to my broadband and scts seamlessly with my PC. I have watched the "Astra Ultra HD test" non-freesat channel 0700 on my Sony 4K Android TV and the picture is stunning, far beyond HD. I urge the UK providers to amend policies to allow pilot 4K trials of sports events like snooker and tennis that would benefit higher resolution. This would massively increase demand and create more jobs in the industry, something the Government should applaud. The demand for eye correction would also increase and this would help reduce the number or car accidents caused by poor vision. We need to think outside of the box! Frank Woodcock: The problem isn't with broadcasters wanting to show stuff in 4K - Sky Q - Overview - Your wireless home entertainment system - they do and increasingly will broadcast or stream. BT Infinity gives the inducement of watching much of the Premier League matches in 4K, for instance. The problem is, as you point out, bandwidth, both with streaming and on terrestial. Better compression is going to help, but there are still large areas where speeds are far too slow and unreliable, and until we all go over to DVB-T2, there is no chance for 4K via an aerial. But dont expect anyone to give any part of the spectrum without a fight, and when you consider just how much TV is consumed in SD, never mind HD, 4K broadcasting is not the highest priority with most people at present.